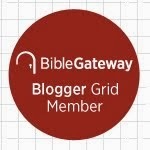 You'll find the reading for Day 9 of the 40 Day Bible here. Today we finish the book of Acts. 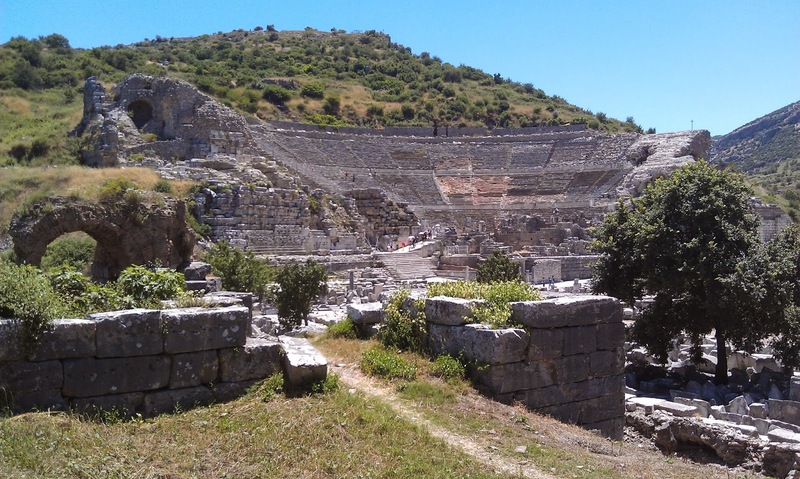 Paul's stay at Ephesus ends with a riot in the theater (picture below). Some think Demetrius might actually have filed charges against Paul, that Paul may have been jailed before appearing before a Roman governor (cf. 2 Cor. 1:8). Some think it may have been during this imprisonment that Paul wrote Philippians. Acts doesn't tell everything that happened and may have reason not to mention a difficult run-in with the Romans. After Paul leaves Ephesus, he writes 2 Corinthians from Macedonia and Romans from Corinth. Then he heads to Jerusalem. There is a lot of foreshadowing in these chapters. "Don't look behind the door, Paul." Paul gets arrested in Jerusalem. Figures--they never nab you for the right thing. They accuse Paul of taking a Gentile into the temple. A mob ensues, the Romans swoop in. There's a plot that's foiled. Paul spends two years waiting a sentence. He speaks before two Roman governors and the only Herod the Bible has anything positive to say about. When Paul sees he's headed back to Jerusalem and possible ambush, he appeals to Caesar, his right as a Roman citizen. The rest of Acts gives Paul's trip to Rome, his shipwreck, the ultimate origins of snake handling (I think Mark 16:18 referred to this incident), and his two years under house arrest in Rome. Traditionally, it was during this house arrest that Paul wrote Ephesians, Philippians, Colossians, and Philemon. Paul continues to Jerusalem despite repeated prophetic warnings and urging by the brothers to turn back. He is a model of continuing to move forward step by step in obedience even though you know it is going to bring trial and persecution. One step at a time, in God's power do what comes next, and God will walk with you. I liked the reading for today. I noticed how much the controversy around Paul in Acts was not so much "Is Jesus the Messiah?" or "Can Gentiles be saved?" but part of the ongoing debate between the Pharisees and Sadducees on is there a resurrection. Here is Paul, a Pharisee, now saying, "I have proof of the resurrection." I always thought acts 23 was extremely clever of paul... Set them to arguing with each other instead of him.